What does “Craft Beer” actually mean? A craft beer is a beer that is not brewed by one of the big “mega-brewery” corporations. More often than not, when the phrase craft beer is used, this is what it means. Less than 25 percent of the craft brewery is owned or controlled (or equivalent economic interest) by a beverage alcohol industry member that is not itself a craft brewer. 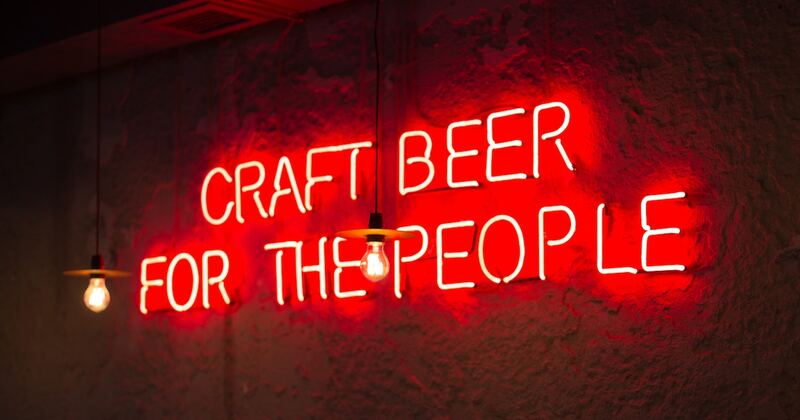 If you’re currently in the process of discovering craft beer, check out our post on the #drinkLocal social movement and find out why it’s important to you! Visit the Brewers Association for more information about the craft brewer definition and details on the craft beer market segments: brewpubs, microbreweries and regional craft breweries. A quick and easy reference to the beer terms you need to know when describing a beer. Now you’ll never be at a loss for words and always be part of the beer discussion.